With MLB Spring Training in full swing and opening day just a couple of weeks away, my mind is on baseball. The fine folks over at Houzz have an awesome throwback desktop game that will let me get my baseball fix any time I need it no matter the season: the Hey! Play! 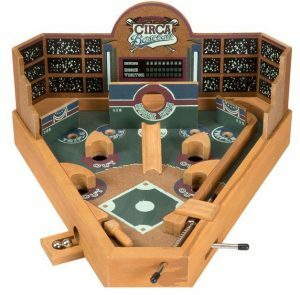 Tabletop Baseball Pinball Game. Find the Hey! Play! Tabletop Baseball Pinball Game from Houzz here. Lost Cowboy is powered by	WordPress 5.0.4 and delivered to you in 0.750 seconds using 40 queries.